The police in Leicestershire have issued crime prevention advice to those travelling to the Glastonbudget festival 2019. People can follow the @CharnwoodNorth Twitter account (https://twitter.com/CharnwoodNorth) or go to the Glastonbudget Faceboook page (www.facebook.com/Glastonbudget) for crime prevention advice for top tips on how to keep safe and secure at Glastonbudget 2019. Sgt Stuart Parker of Charnwood Safer Neighbourhood Team said: “Glastonbudget is a really good natured event to police. We want people to come to the festival and have great time. • If you can’t take your valuables with you when you leave the tent, leave them at home. 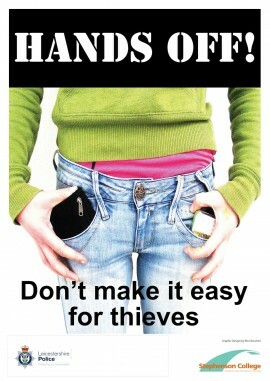 Don’t make it easy for thieves. • Do not bring large sums of cash. Only bring what you need and keep it on you at all times. If you have any information relating to crime or anti-social behaviour in your area please call your local police on 101**. In an emergency, or if a crime is in action, dial 999*.